Our BIM Consulting services have been at the forefront of BIM Implementation since 1996, operating on all levels on projects throughout the world. 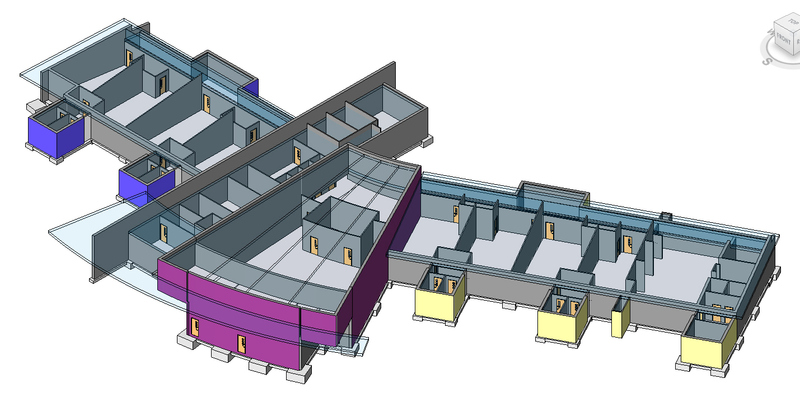 Employing BIM will typically enable a 20% reduction in costs in the construction and operation of new buildings. BIM offers high quality Digital Visualisation of the project proposals. Our Virtual Design Review allows you to interactively inspect the whole construction sequence linked to the planned activity schedule. The data embedded in BIM permits value-creating collaboration through the entire life-cycle of an asset. The development, collation and exchange of the 3D model data within a shared and accessible data environment will ensure that the project will run as effectively as possible. Information is at the heart of BIM. Formal design team reviews enable the whole model of the project to be reviewed and comments to be recorded electronically within the digital environment to maintain a robust audit trail. We provide Information Managers/BIM Coordinators Services to the Client, Design Lead, or the Contractor, and take on the responsibility for maintaining progress and the quality of information produced within the BIM environment. We have advanced knowledge of BIM technologies and processes, and are able to manage all the usual deliverables of the CDE ( Common Data Environment), such as PIM (Project Information Model) and AIM (Asset Information Model). Alternatively, we can develop links between BIM and the client’s separate asset management system. It has become essential to appoint a BIM Project Manger (Information Manager) from Day 1 to ensure a true cradle-to-cradle approach is applied to the entire construction project. BIM helps to facilitate collaboration between all relevant parties (client, design lead, contractor, subcontractors and engineers) throughout the entire life cycle of the project. Info is fed to the model and it needs to be managed. Early intervention is possible through increased visibility, meaning that less errors can be made. Therefore decisions lead to better outcomes, rather than managing the consequences of those outcomes. Scheduling and budget control are improved, and more accurate benchmarking is possible. Hence it has become imperative that a Project Manger is appointed who is well versed in BIM. The BIM model is used at each stage of the project. It forms the basis of the Employers Information Requirements (EIR) pre-tender, and then the BIM Execution Plan (BEP) post-tender. PAS 1192-2:2013 (incorporating Corrigendum 1) sets out the requirements for the BIM model for the CAPEX phase of the asset lifecycle, i.e. delivery. It is then transferred from the Project Information Model (PIM) to the Asset Information Model (AIM). PAS 1192-3 sets out the requirements for management of the OPEX phase. Moving into the post-construction operation phase, that same information then forms the basis of the Asset Management Plan.